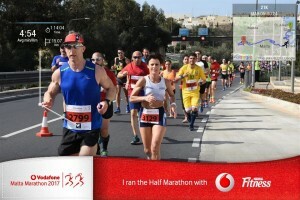 Another trip to Malta for the Vodafone Half Marathon, with a holiday thrown in for good measure…..shame not to! After missing out last year on my sub 1.30 goal by a minute, my plan was to aim for this again when originally entering. Heel pain which started in September 2016 had progressed to me having to stop running completely for the remainder of the year and into 2017, due to the unwelcome guest of Plantar Fasciitis deciding to visit my right foot, with no intention of leaving. Podiatrist appointments, stretching, rolling, massaging and taping had left me with a brief glimmer of hope at the beginning of February that I may just get enough runs in to complete the half safely; sub 1.30 was definitely out of the question. I managed a few mid-week 3-4 milers, and built up to 7 miles a week before the run, but felt confident some winter bike and swim training would give me enough cardio fitness to get round, the unknown being whether the foot would hold out. Karen and i arrive on the Friday evening, unfortunately without our companions Pat and Sandra. We decide to register for the half that evening, and arrive at the Meridian Hotel in St.Julians Bay to find a que about a mile long, even though it was 8.00pm! The Malta Marathon, Half Marathon and Walkathon combined have over 4000 entrants, with the UK making up the largest foreign entry of 700. Saturday is spent chilling out around St.Julians, and the evening involving the normal race and kit prep, massaging my foot and K-Taping it. After a good breakfast Sunday morning, Karen and i leave to catch the bus up to Medina for the start. There are runners from all nationalities which is amazing to be around. After numerous pee breaks, we are called over for the start. A quick goodbye to Karen who is doing the walkathon, and I try to get into the mass of runners. I feel nervous regarding my foot, but have little time to dwell as the race starts 5 minutes early! 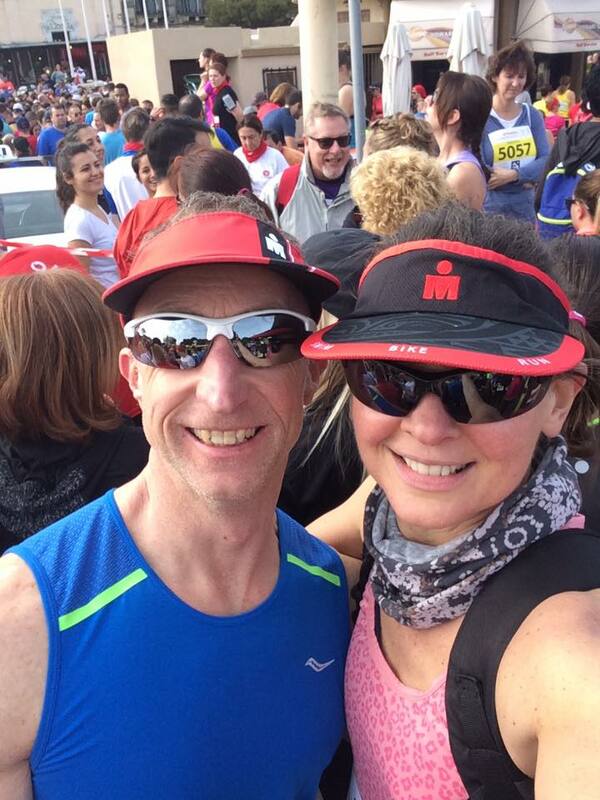 I have a loose plan to stick to 8 minute miles as I head out over the start line. It’s difficult to get going at first due to the volume of runners, but I manage to settle in after a few minutes, and a nice downhill gets me to 7.55, I feel comfortable here, so decide to try and hold this pace and see what happens. It’s warm in the clear sunshine and light wind, there are 32 bands playing for 32 years of the event on the route, a right variety of music, but makes for a great atmosphere with the spectators. 5 miles in and things are going okay, I can feel the heel but nothing out of the ordinary, and I’m picking my way through the runners nicely. 9 miles in and my left Achilles has become really tight, the opposite foot has now decided to join in which may be compensating in some way, I try to put it out of my head and plough on. Finally down to Silema seafront at 11 miles, everything is aching now due to the lack of running conditioning, it’s a flat run in to the finish, but those 2 miles seem like 5! I’m still at 7.55’s and I put my head down to try and pick up pace in the last mile but there’s no acceleration. The finish line is in sight and I push to get over in 1.43.55. Massively happy with the time, with a big slice of relief to finish as I collect a beauty of a medal. I sit with my banana and drink and wait for Karen to finish the walkathon. I seriously have complete respect for anyone who does walking events; walking wrecks me way more than running! Straight to the bar after for some celebratory drinks where we share our race stories, the place is awash with post-race runners on the beer. Malta Half is a brilliant well organised event, coupled with a stunning island to visit. It was nice to be back running after such a long layoff, the Plantar Fasciitis is still an ongoing problem, hopefully further treatment and investigations will see the back of it in the next couple of months.